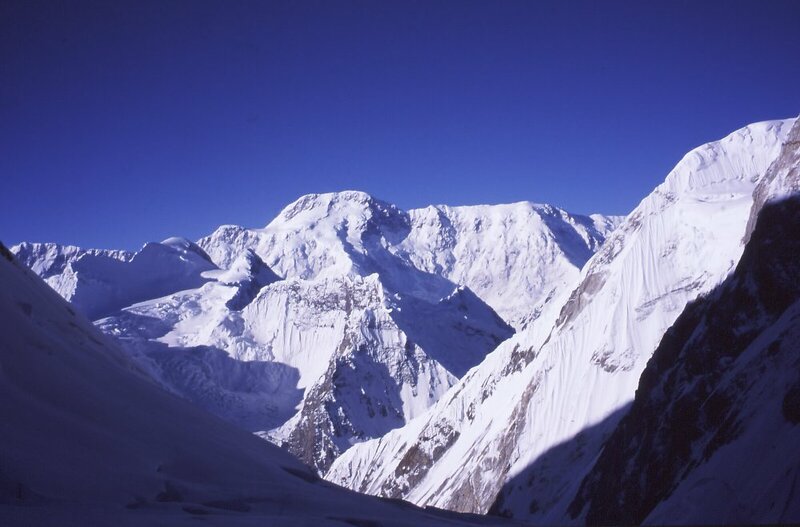 The highest point of the Tian Shan Mountains, rising 7439 m (24,406 ft) above sea level, Pobeda Peak occupies a special place in the history of mountaineering. As the most inaccessible, most formidable 7000’er, Pobeda Peak has attracted a great number of climbers from around the world. The complex and broad structure of the peak impresses even the most experienced climbers as it rises more than 400 m (1,312 ft) above the other peaks of the Tian Shan range.Soviet mountain climbers attempted to climb the peak in the 1930’s but it wasn’t until the spring if 1943 that they reached the summit. 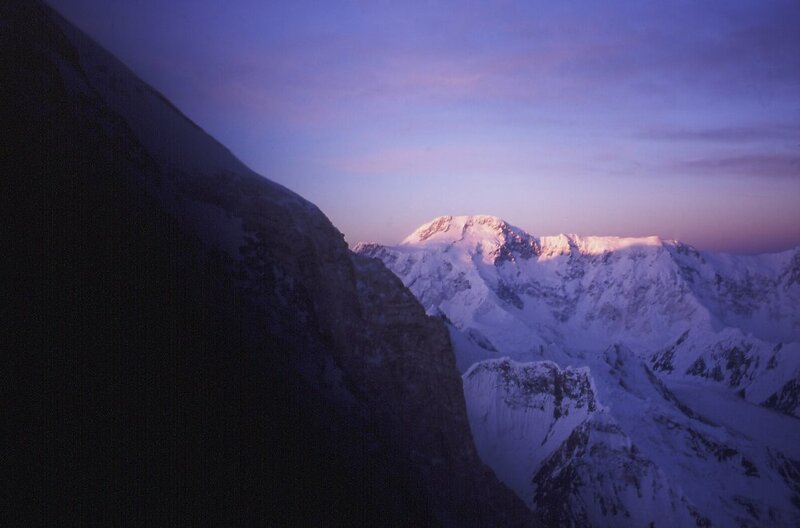 The Soviet team named the unnamed mountain Pobeda Peak, which translates to Victory Peak in English. To climb this mountain is rather exhausting and dangerous. Pobeda Peak is considered the coldest mountain on earth. One of the northernmost 7000 peaks, most routes start from the southwest. Because of all these factors, climbers experience additional difficulties reaching the summit. 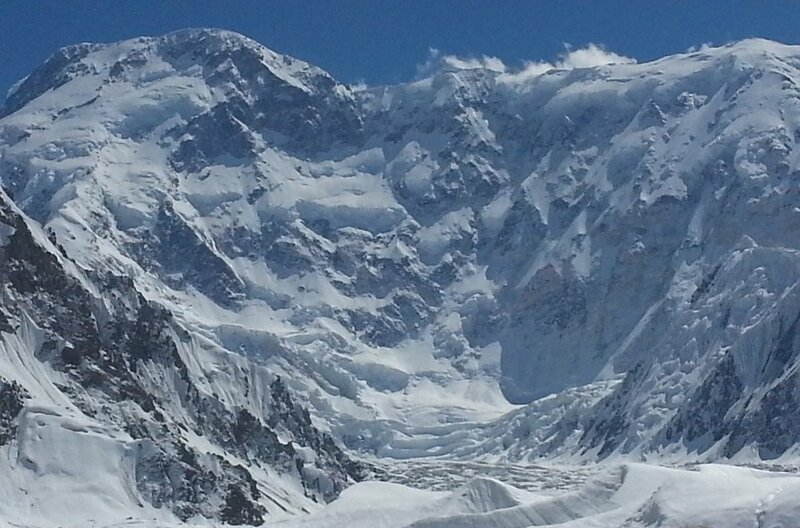 Many climbers, mostly Russian, have lost their lives on this mountain. Recent years have seen a decrease in climbing activity due to weather and route conditions. 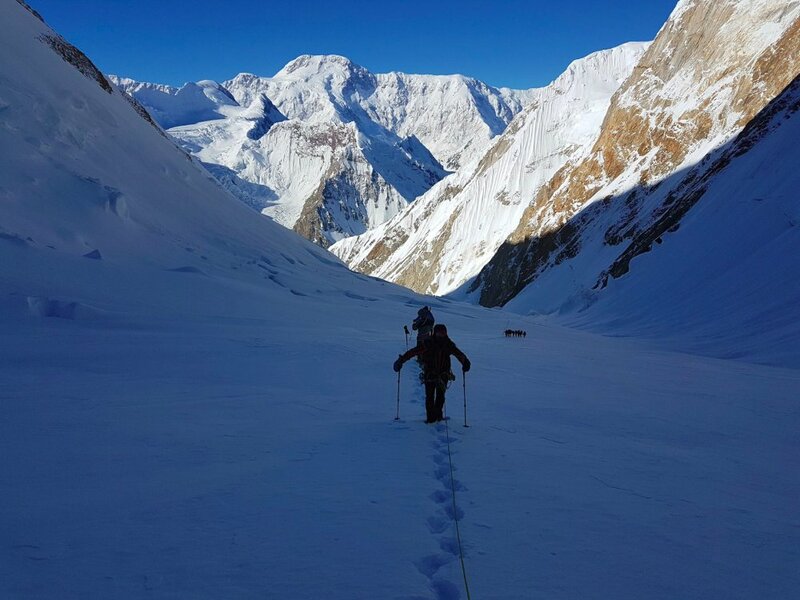 A successful ascent of Pobeda Peak depends greatly on choice of camp locations, as intermediate camps play a crucial role in severe conditions for restoring the morale and physical strengths of climbers. The most often climbed route, from the southwest, involves many kilometers of a mix of broken ridges which are all situated above 7000 m (22,966 ft). 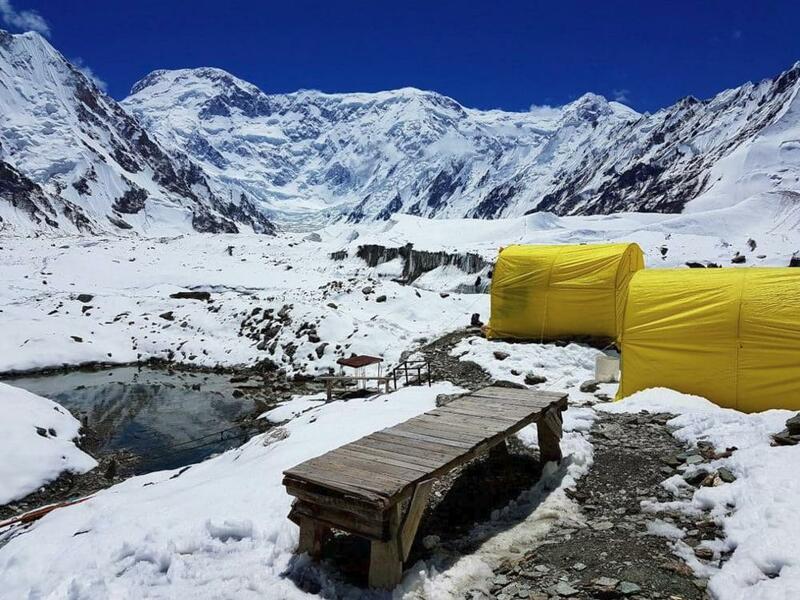 Advanced base camp (Camp 1) is located at Zvjozdochka Glacier at 4600 m (15,092 ft). Then early in the morning we head for Camp 2 at 5300 m (17,389 ft) on Dickiy Pass. 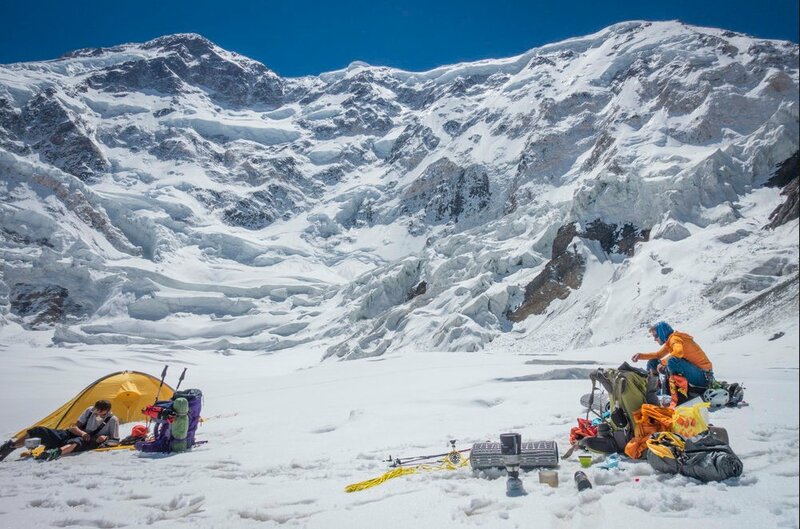 Camp 3 is at Snow Plateau at 5700 m (18,701 ft), where we will either use snow caves or tents. Higher camps (Camp 4 and 5) are then established at 6400 m (20,998 ft) and 6900 m (22,638 ft), the upper camp (Camp 6) being just before the long traverse about 6 km (3.8 mi) long at an elevation above 7000 m (22,966 ft) to the summit ridge. A final snow cave is normally established at 7100 m (23,294 ft) towards the other end of the long traverse. The summit day is relatively long.